The 8th International Festival of Mstislav Rostropovich opens today at the Moscow State Conservatory. The festival’s concept is based on the interrelation of the musical cultures of four countries that were of particular importance in the life and activity of the maestro: Russia, the United States, France and Japan. The festival will run until April 4 and during the event famous collectives and conductors will perform classical works, Trend Life reported. 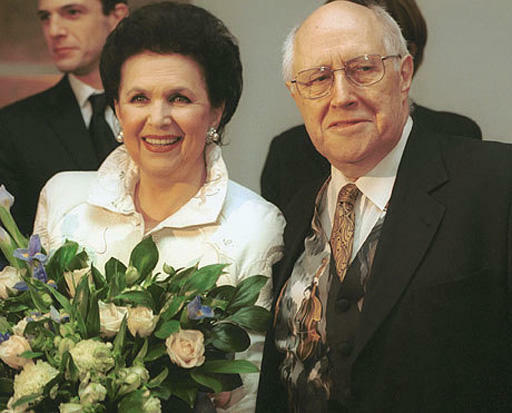 A memorial plague to Galina Vishnevskaya and Mstislav Rostropovich will be also unveiled in Moscow on March 27. He inspired and premiered over 100 pieces and formed long-standing artistic partnerships with such prominent composers as iDmitri Shostakovich, Sergei Prokofiev, Henri Dutilleux, Witold Lutosławski, Olivier Messiaen, Luciano Berio, Krzysztof Penderecki, Alfred Schnittke, Norbert Moret, Andreas Makris and Benjamin Britten.